Imagine coming home from the market, unloading everything you purchased and not throwing out any single-use plastic bags! It can be done with our ECOBAGS Produce bags! Food goes straight into the fridge, either organized in the bags or taken out – your choice! 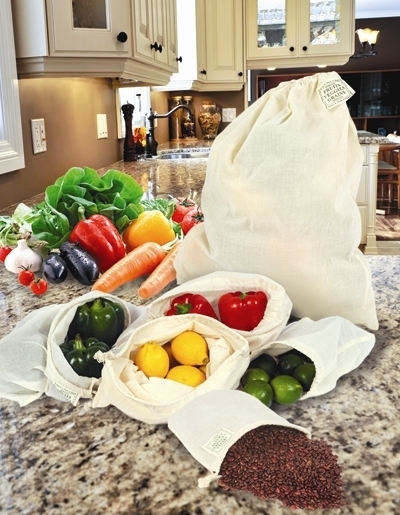 The produce bags are machine washable and super lightweight.